Desil has spent his life training, but a promise to his mother has kept him from using his abilities for anything worthwhile. Now all he does is help his mother manage her tavern as his father rests in a grave. Desil knows there’s at least one other mage somewhere in this territory who can do what he can; they share a connection through their magic, although they’ve never met. He stays up nights wondering what they might be able to accomplish together. When an opportunity to not only meet this mage but change the course of his future finally presents itself, Desil jumps at the chance. A great leader has disappeared, leaving clues that only Desil and this other mage can see. War is coming, and following the clues could mark Desil as a traitor, but he trained his whole life for something. If this isn’t it, then what is? He might unearth a new power capable of ending war, or he might die trying. Either is better than doing nothing. It was good and exciting but not the how should I say, the beginning was just a little hard to catch up on. If I would have know his history or shall I say his mother's or fathers history a little to get me caught up in who he was it would have been I think easier to read. I find this story very interesting and unique. The mages are using a different kind of magic, controlling the elements energies. It has twisted plots and energetic adventures which brings more questions. I want to read more. 1.0 out of 5 starsDirectly conflicting primary character background details within pages of each other. No go. Reasonably written, though clearly self-published. I had to drop the book after only a 2 chapters because of the constantly conflicting character descriptions and development. Even from the start, abrupt jumps into unrelated character background description made it hard to follow the thought, let alone get anything from the book. When it took the turn into re-iterating character background but making directly conflicting staments with what was described only a few pages before, the book is over. The whole point is to tell a coherent story and conflicting background, especially major background details that contribute to primary character's motivation, is a non-starter. Desil works in his mother's bar until trouble steals it's way it. he is forced to leave home and awaken his burgeoning connection to the land around him. now involved in a situation his mother never wanted him to see, Desil travels to a place unknown. returning might be difficult. 5.0 out of 5 starsHighly Recommended Epic Adventure. I was right there with Desil through some of the most unique action scenes I've read, especially in the second half of the book. His limited ability to manipulate land and water lead to intense yet believable scenes of struggle that kept me reading into the night. 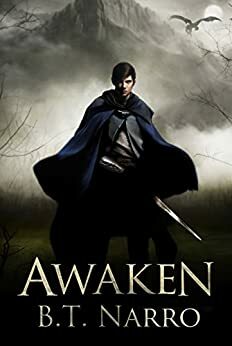 The side characters are worth mentioning as well because they are interesting and complementary to one another, although almost every chapter is through Desil's point of view. They all struggle throughout this journey, sometimes in opposition of each other when their goals don't align. This made everything feel more real to me and much more relatable. All in all, it's a great tale of people pushing themselves to their limits to accomplish something great. I also want to add that the interior illustrations are very well done.